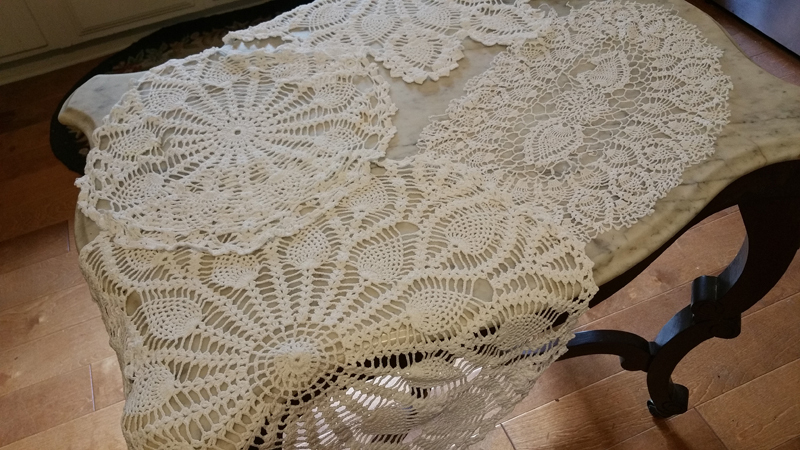 Look closely at these hand crocheted lace doilies and they all have a pineapple element. Various sizes with the largest measuring 22" diameter; there are 2 large and 2 small. Fine white cotton thread, great condition. This style was traditionally given as a wedding present.